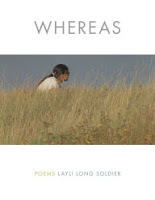 Whereas is a collection of poems by Layli Long Soldier, a Native American residing in New Mexico whose poetry has been published in numerous outlets in recent years. Her work is a reflection of her Lakota heritage and the history of struggle her nation has endured throughout America’s existence as settlers steadily encroached on land the Lakota had lived on for thousands of years. Her poems are uniquely about her life and her existence as she struggled to find her voice while growing up, using poetry as the way to express herself. 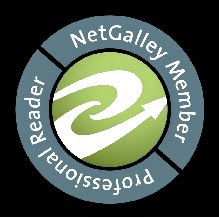 Reviewing poetry is something we have never done here at 1776 Books, and taking on a collection of modern poetry is definitely outside of our “norm” for reviewing. However, Long Soldier’s story and her expressive writing flow creatively, albeit not easily, throughout the book's 100 pages, 30 of which are appropriately titled Whereas statements that peel away at the first word of the apology offered by the United States to Native Americans in 2009. These raw arguments make the official apology feel quite hollow by the time Long Soldier is done dissecting it. Poetry readers may need to reflect slowly on Whereas -- it is not the easiest, breeziest poetry you will read but the message is powerful. If you wish to be challenged and want to devour arguments that may challenge your thinking, Whereas is for you.